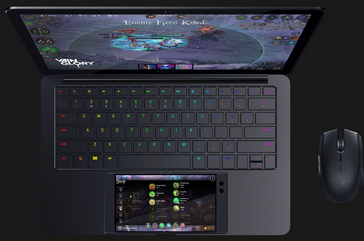 Razer entering the smartphone market makes a lot more sense with the reveal of the company's latest prototype, dubbed Project Linda. The device, which is more a proof of concept than anything else, has a dock that allows the Razer Phone to turn into a full Android laptop. Razer's prototypes are once again making headlines at CES. However, instead of a more outlandish concept (like a three-screened laptop), their latest project is a bit more feasible. 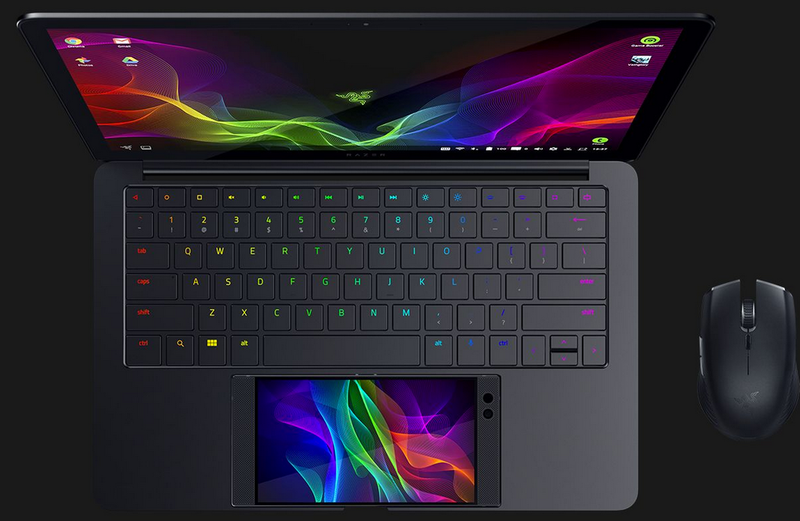 Say hello to Project Linda, a prototype designed to turn the Razer Phone into a full-fledged Android notebook. The concept of transforming a smartphone into a more traditional computer is nothing new. Motorola tried to do this with the Atrix 4G as far back as 2011. Samsung, HP, Microsoft, Canonical, and others have all tried their hand at similar projects as well. So what makes Project Linda different? Other than the acid green tri-headed snake, not too much. 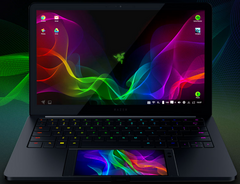 The chassis of the laptop is similar to the Razer Blade Stealth with some slight modification. For one, the trackpad is completely absent. In its place is a space to snugly hold the Razer Phone, which connects to the rest of the machine via a motorized USB-C hook-up. The Phone can then act as either a touchpad or a secondary display (for supported apps). 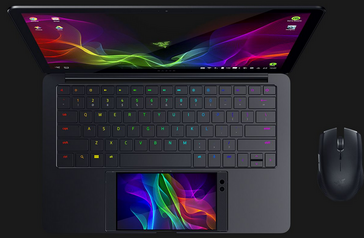 The rest of the device is fairly typical for a Razer notebook: 13.3-inch QHD touchscreen, individually RGB-backlit Chroma keyboard (with some dedicated keys for easier Android operation), and an aluminum chassis. 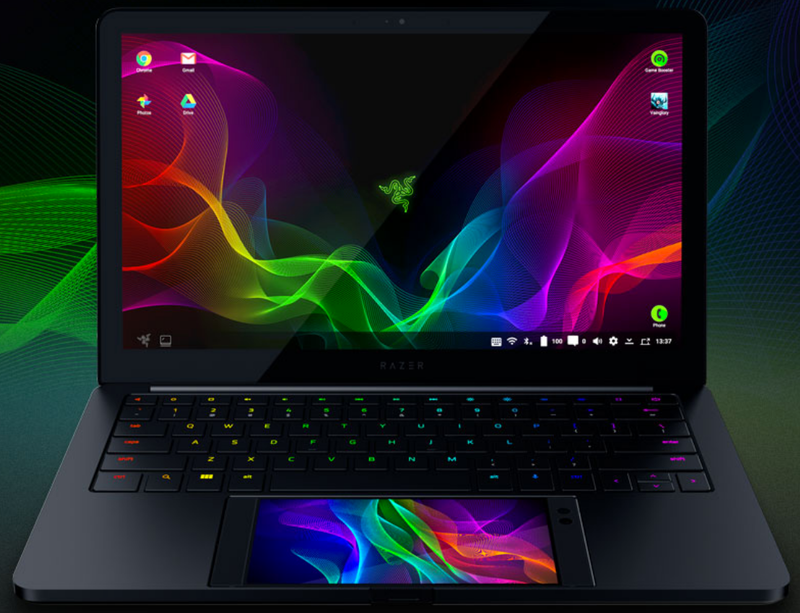 The laptop also contains a 53 Wh battery that Razer claims can charge the phone up to three times, an additional 200 GB of storage, a single USB Type-C charging port, a USB 3.0 Type-A port, and a headphone jack. The notebook doesn't have any speakers, instead relying on the front-firing speakers of the Razer Phone. There's also a small cutout in the front of the chassis that exposes the fingerprint sensor on the phone for quick and secure logins. Perhaps the biggest shortcoming is that the notebook is essentially just a conduit for the phone. In other words, it'll be like using an Android laptop. While Android has come a long way, it may still be too sparse for serious productivity work. However, there are some small UI and system tweaks to make the device more usable. Keep in mind that Project Linda is purely a proof of concept; Razer hasn't released any pricing or availability details because they may never bring the device to market. If you can't wait to turn your phone into a laptop, there are plenty of third-party solutions out there. However, none of them have quite the polish that Project Linda does. ...or a secondary display with supported apps. Enjoy the comfort and precision of a backlit laptop keyboard, powered by Razer Chroma. Ideal for both quick text entries and lengthy typing sessions, and complete with custom Android keys for navigation, app selection, searching, and more.